arielson gamer 1 year, 10 months ago. Galaxy S3 Mini CM13 (CyanogenMod 13, golden) Marshmallow ROM is an unofficial CM13 build. This is an initial build and has many BUGs leaving this ROM unusable as a daily driver. So, please take a backup using a synchronization application or using Samsung Smart Switch or if you have TWRP installed then boot into TWRP recovery and take a NANDROID backup using the TWRP itself before flashing this ROM. This CM13 is ONLY for Galaxy S3 Mini and this build is brought to you by developer 3liteking148. Recently he has also brought the CM14 for S3 Mini. Before proceeding further you may consider backup your all data. You are the only person doing changes to your phone and I cannot be held responsible for the mistakes done by you. Neither the developer nor we will be held responsible for any disaster that happens to your device. – The .tar extension Recovery file which can be flashed with ODIN (probably without unlocking bootloader). Follow this guide: How to Install TWRP on Samsung using Odin for the .tar TWRP file. Make sure that you have a custom recovery installed on your Galaxy S3 Mini phone. If not then download the recovery from above downloads section and you can follow this TWRP recovery installation on Samsung phone using ODIN guide. Download and Copy the GApps and Galaxy S3 Mini CyanogenMod 13 ROM ZIP to your phone. Boot into Recovery. Make sure to have a Custom recovery like CWM or TWRP or any other custom recovery. This will delete all your data on your phone. You may consider complete backup of your phone data or take a NANDROID backup of the current ROM. First flash the CM13 ROM ZIP from device. Then flash the GApps zip from your device memory. Reboot and Enjoy the CyanogenMod 13 Marshmallow ROM on your Galaxy S3 Mini. 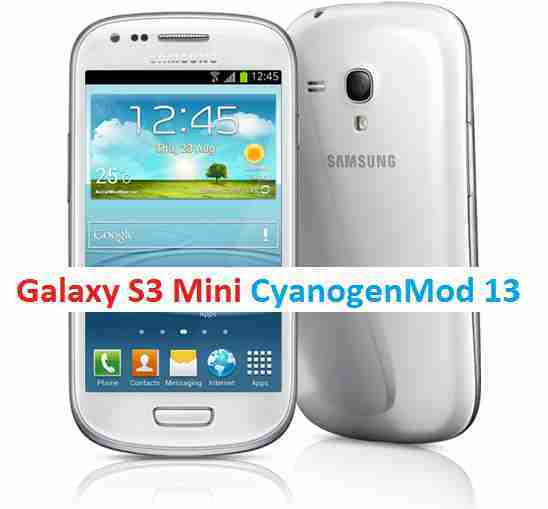 Copy the latest Galaxy S3 Mini CyanogenMod 13 ROM ZIP file to your phone. Flash the latest CM ROM ZIP from your phone and wait till it finishes flashing. After that flash the Google Apps package. Stay tuned or Subscribe to the Samsung Galaxy S3 Mini (golden) forum For upcoming Android Nougat ROMs, CyanogenMod Custom ROMs, other ROMs and all other device specific topics.